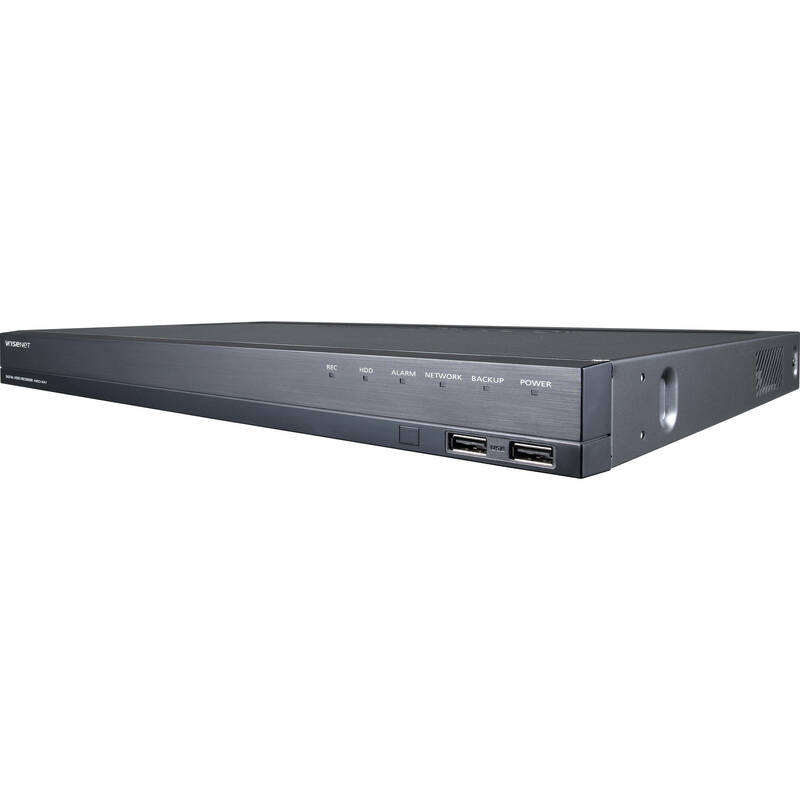 Stream and record up to eight video channels with the WiseNet HD+ HRD-841 AHD DVR from Hanwha Techwin at resolutions of up to 4MP. Equipped with two SATA ports, each supporting an HDD up to 6TB, this DVR can accommodate up to 12TB of HDD storage (1TB preinstalled). The recorder supports AHD cameras up to 4MP and HD-TVI/CVI cameras up to 2MP via its BNC interface. With the help of H.264 compression, file sizes are kept manageable while recording and playback quality are maintained. 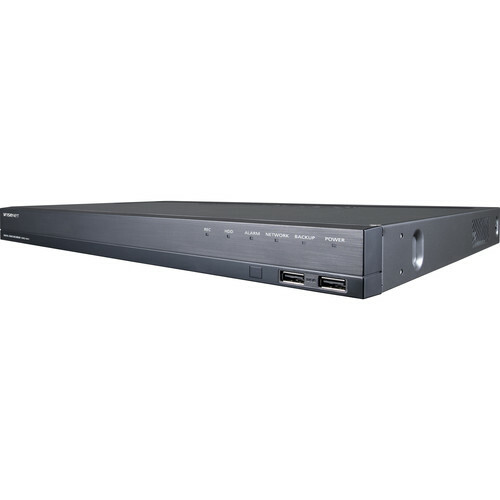 The DVR's interface includes ports for two-way audio communication, as well as HDMI and VGA connections for video output with support for dual streaming to maximize bandwidth efficiency. The HDMI connection can output up to 4K UHD resolution video.